…there is a material called Solid Surface? 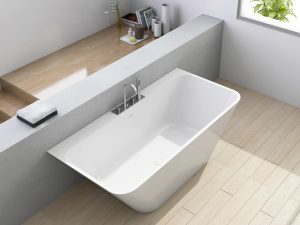 Solid Surface is a mixed material made of polyester resin with very thin homogeneous solids and natural mineral composition called ATH (trihydrated alumina). This mineral is a white powder with specific thermal characteristics that give it translucency and whiteness. Hydrated alumina is dry to the touch, and it’s chemically combined with three water molecules and has a high melting temperature. What are the main characteristics of the solid surface? • It’s clean, resistant, durable and it has a warmth, magnificent and soft touch. Suitable for exterior and interior. • Resistant to stains, as it is a pore-free material, can be manufactured with imperceptible joints, maintaining a totally hygienic surface. • It is resistant to bacteria and fungi, very easy to clean and maintain. • It is an inert and non-toxic material. • Ecological material. Its manufacture is strict and its production is low in emissions. • It is pigmented in mass, so it is possible to obtain unlimited possibilities in colors and designs. Very customizable. 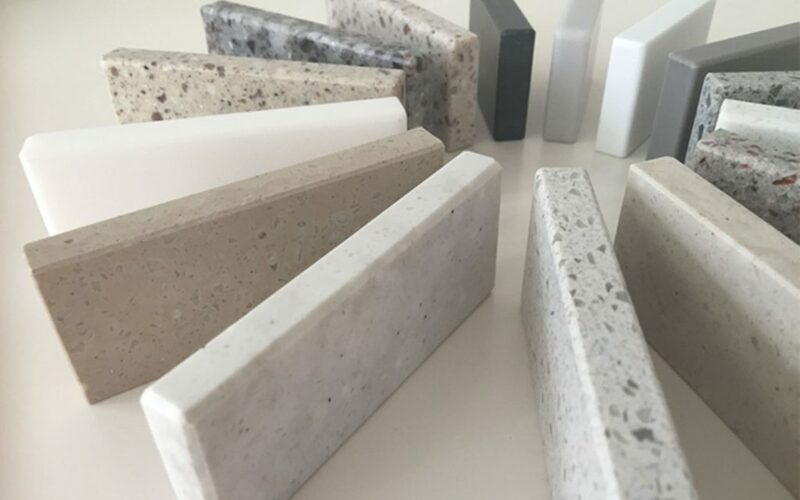 With these properties, you can use it for kitchen countertops, bathrooms and toilets, areas such as restaurants, counters, hygiene areas in hospitals, special recipes, interior decoration, and multitude of products.